If you want to introduce yourself with an intro or overview message on your Fabrik homepage, rather than displaying a featured project use our homepage cover layouts. 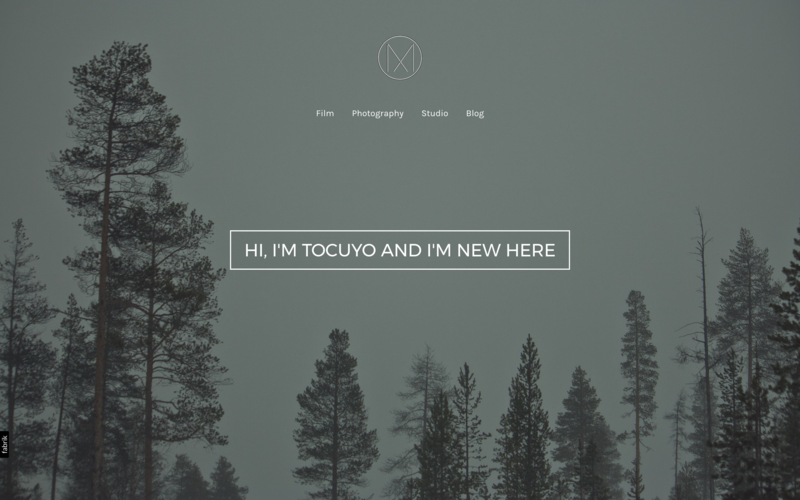 Cover layouts work by using a specific project's media to create a feature area on your homepage, here's how to set one up. Create a new project, and name it so you'll recognise it in your projects list. Add media to your project. If you add more than one media item your homepage feature area will automatically cycle through any media you add to your project like a slideshow. 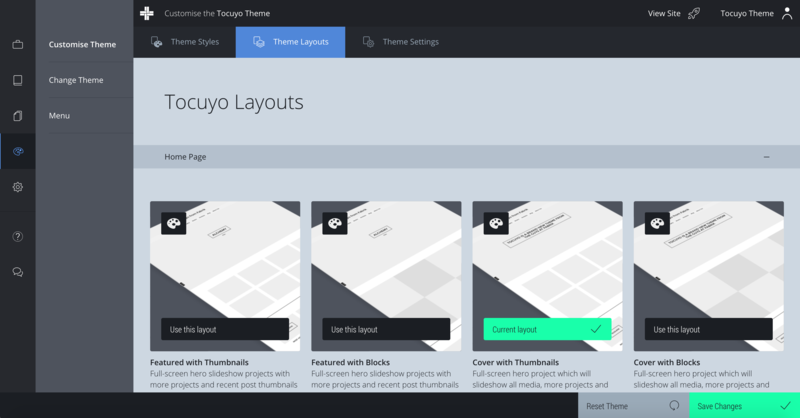 Head over to Customise, then Theme Layouts. 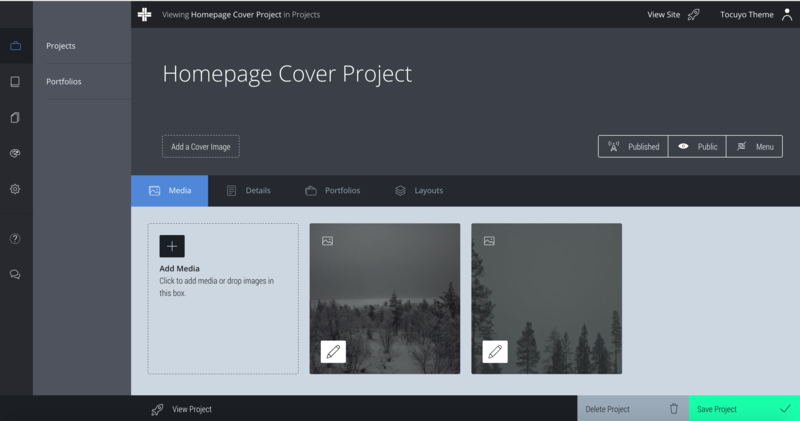 In the Homepage group choose a Cover layout. Tap the Layout options icon (the palette icon top left of the layout thumbnail). Give your cover a message in the area on the right. This text will appear over the media on your homepage, then save your changes. A cover message is optional, but we recommend you add some text here to help your viewers understand what they're looking at. Either drag your new homepage project to the top of your project list, or alternatively create a homepage portfolio to control exactly what projects appear on your homepage. If you only want your homepage to include the cover make sure you've set your homepage project count to 1. 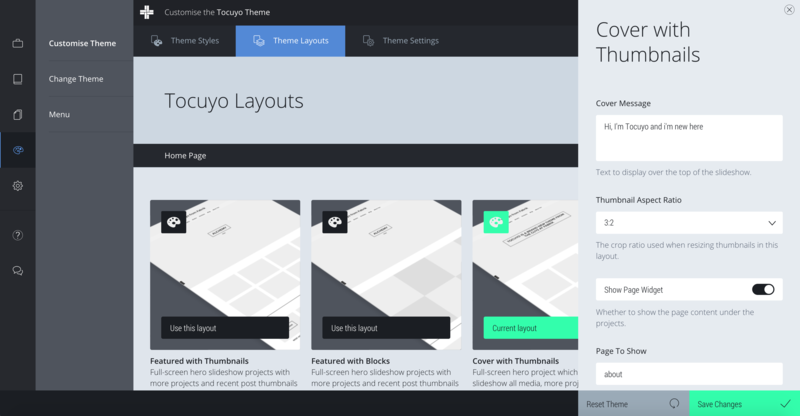 You'll find the homepage project count in Customise, then Theme Settings. Naturally all projects will appear in your default projects list, including your new cover project. To hide this project you'll need to make sure the rest of your projects are all in portfolios, leaving the cover project orphaned. 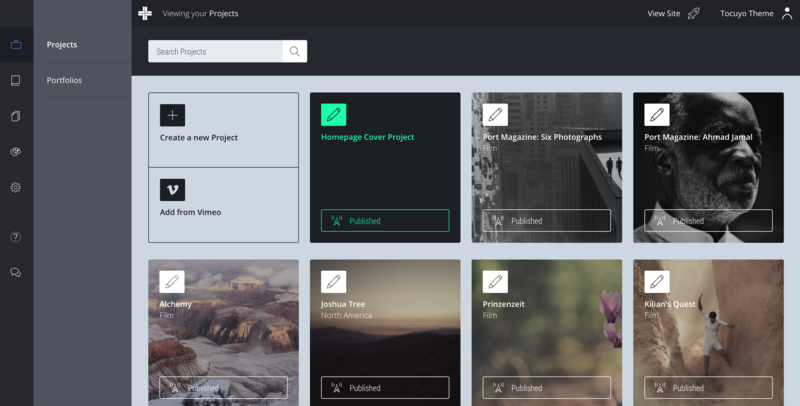 Portfolios are a great way to group your projects into different sections on your Fabrik site, and you can follow this guide to organise your work.